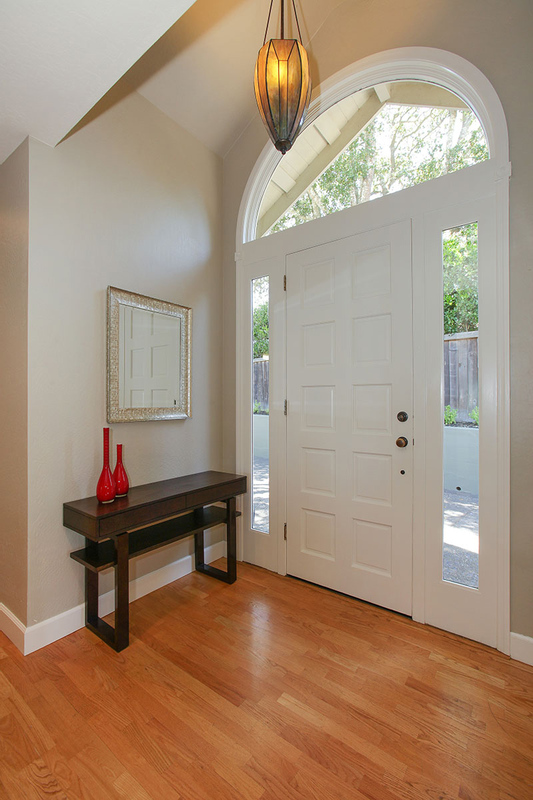 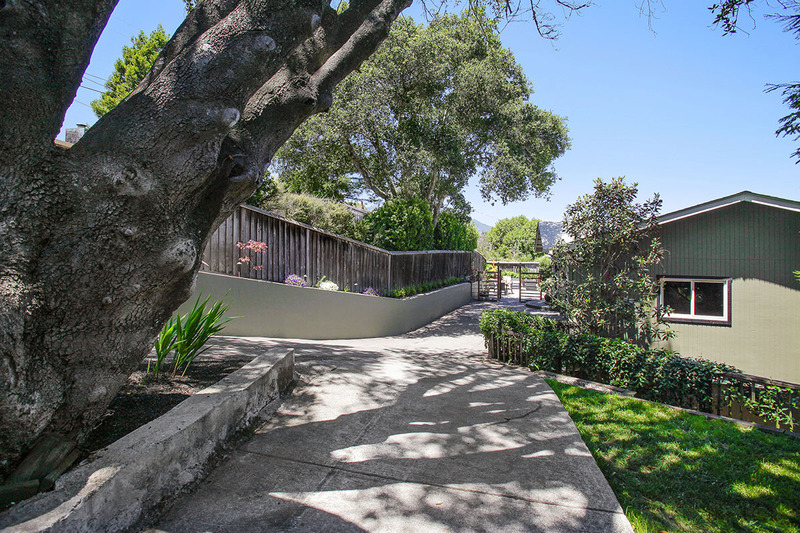 SERENE | INVITING | CONTEMPORARY view home in sought after Mill Valley combines style and character on a peaceful cul-de-sac. 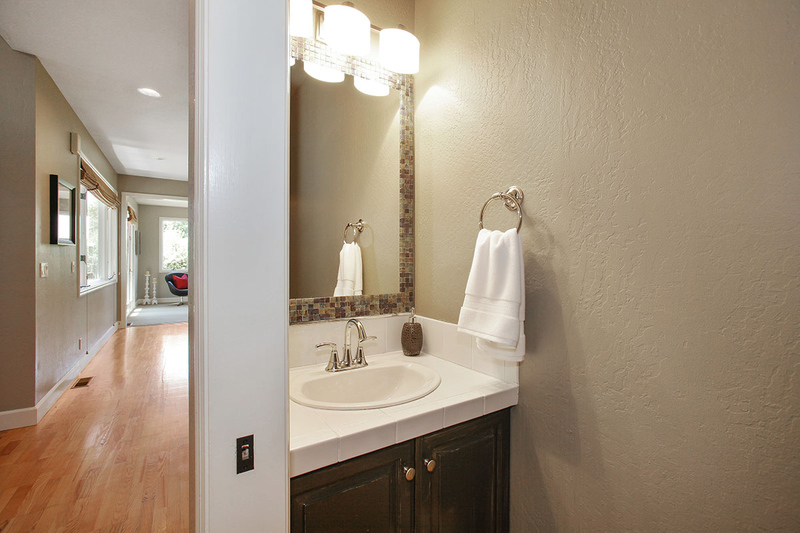 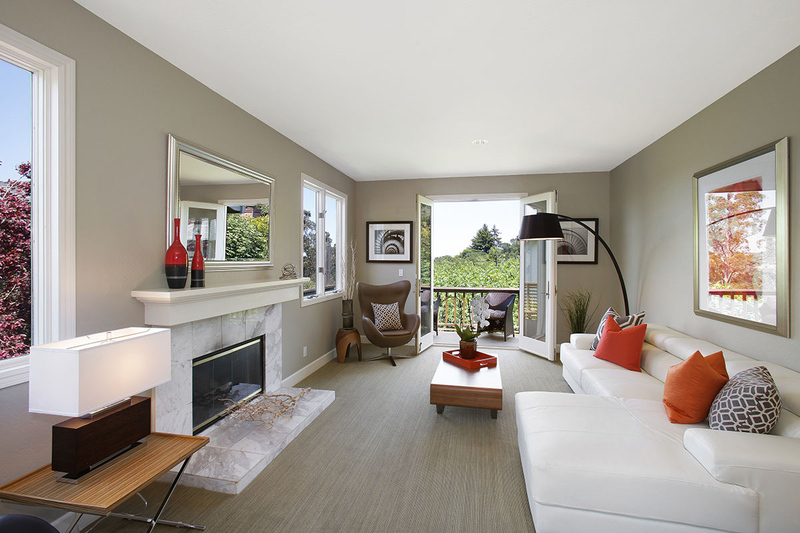 This wonderful home emulates the best of the Mill Valley lifestyle. 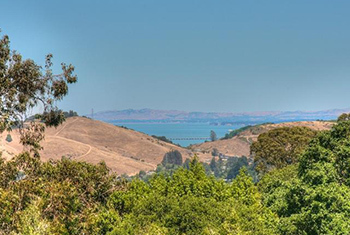 Expansive Bay and Mt. 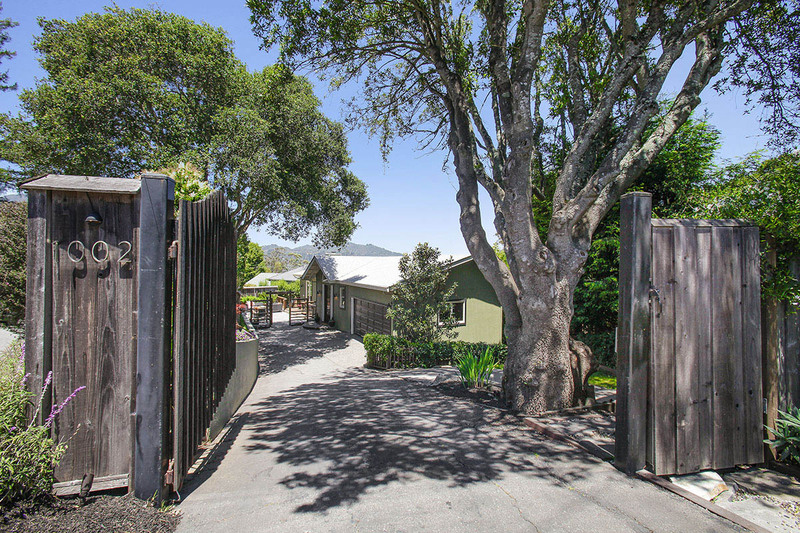 Tam views surround this gated home. 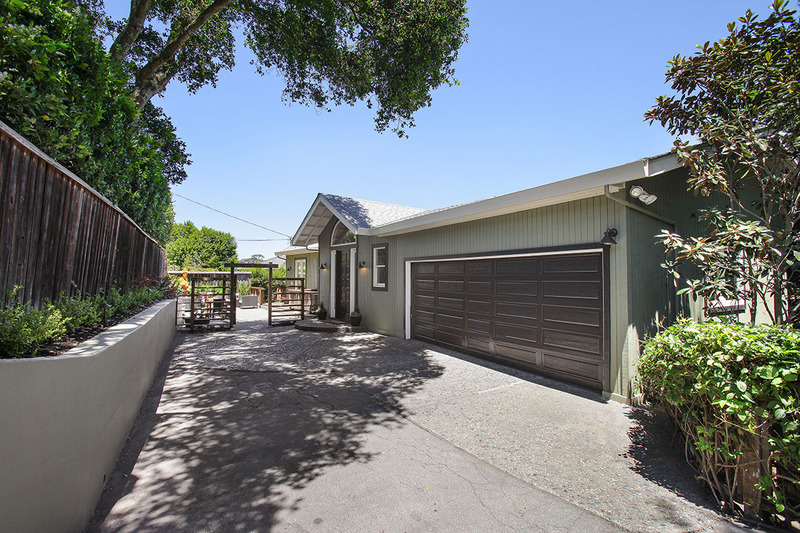 Boasting a spacious interior with gleaming hardwood floors, recessed lighting, designer carpet, and a new roof/gutters. 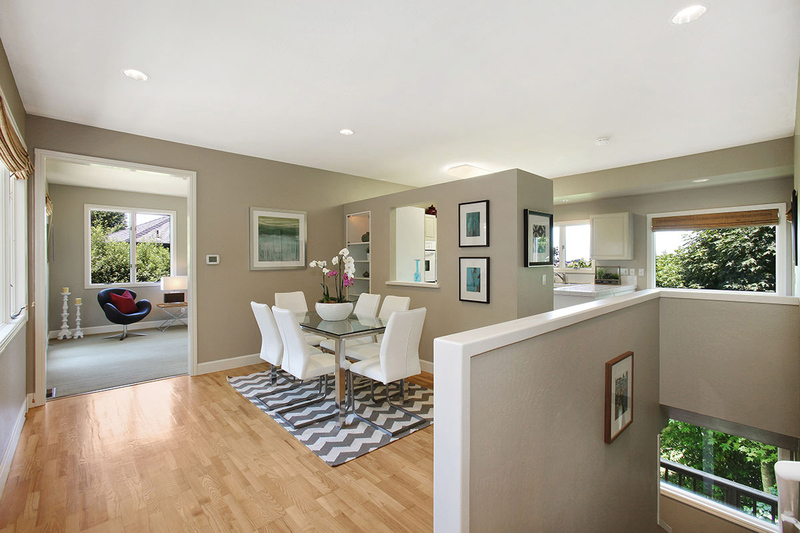 The generous open floor plan is bathed in natural light and invites entertaining on any scale. 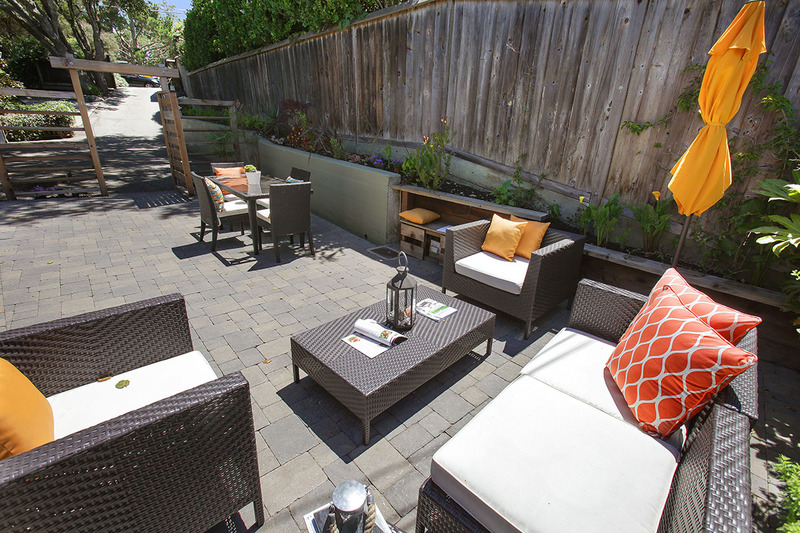 An expansive sun-drenched patio for BBQ, entertaining or a respite for relaxation. 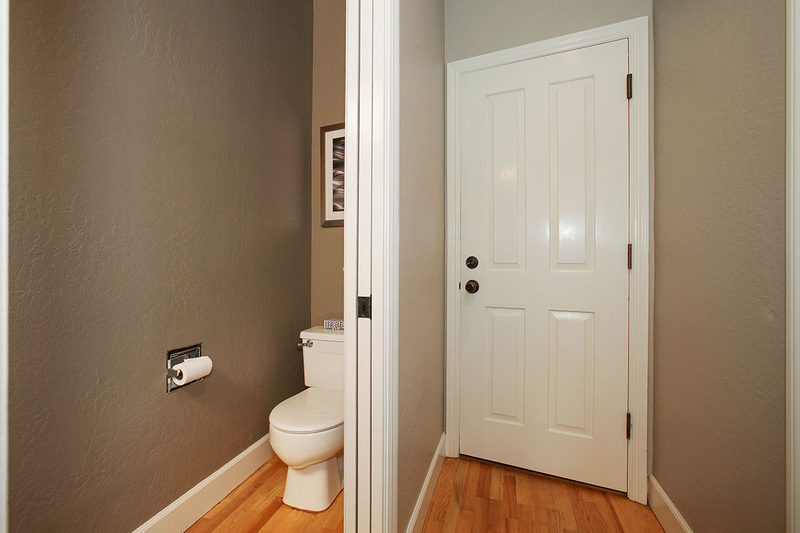 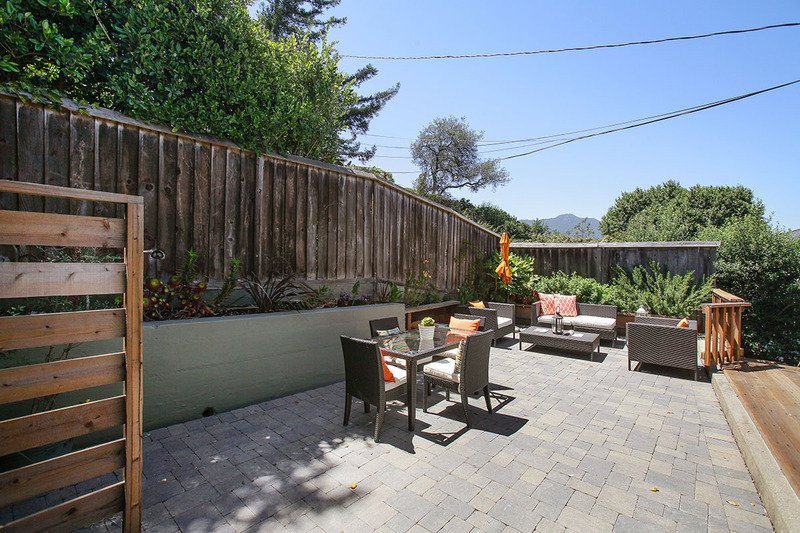 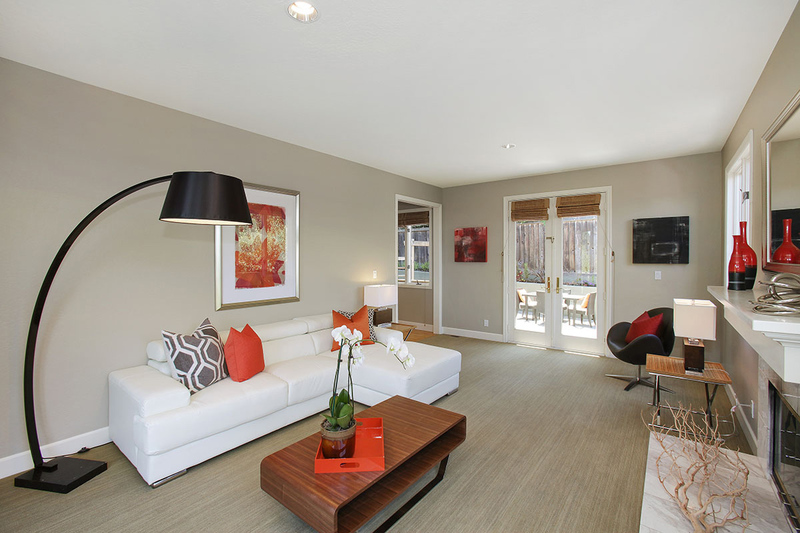 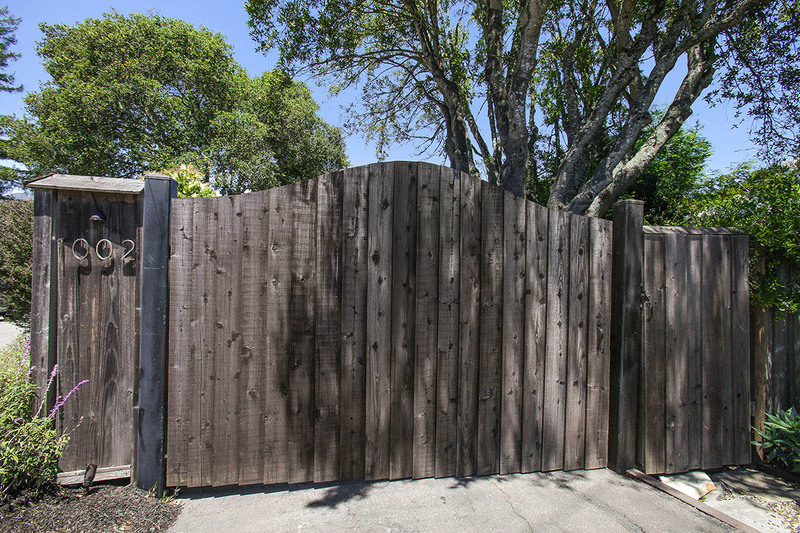 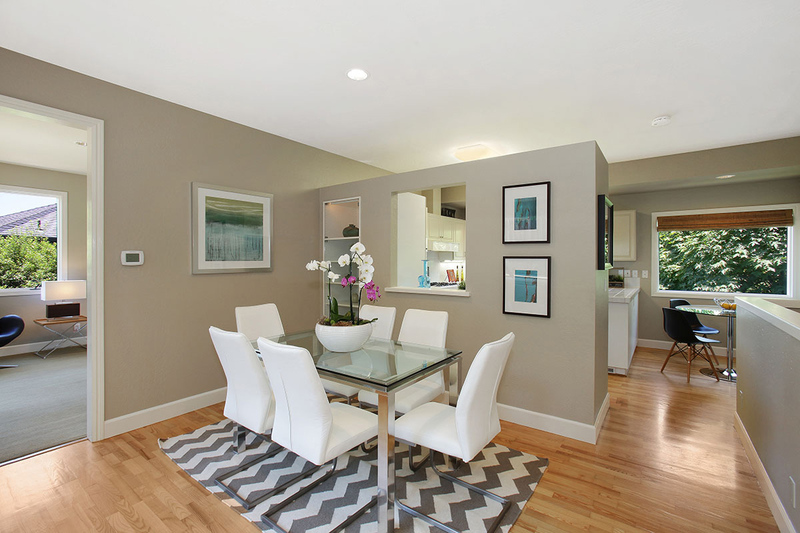 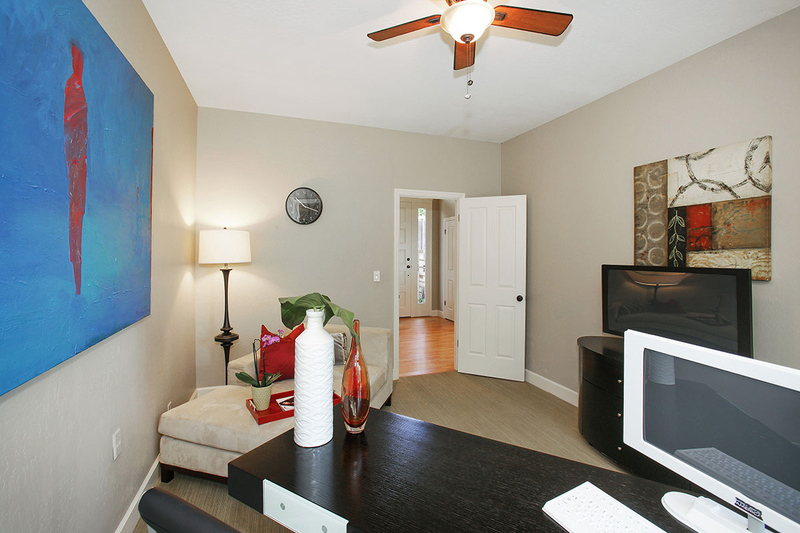 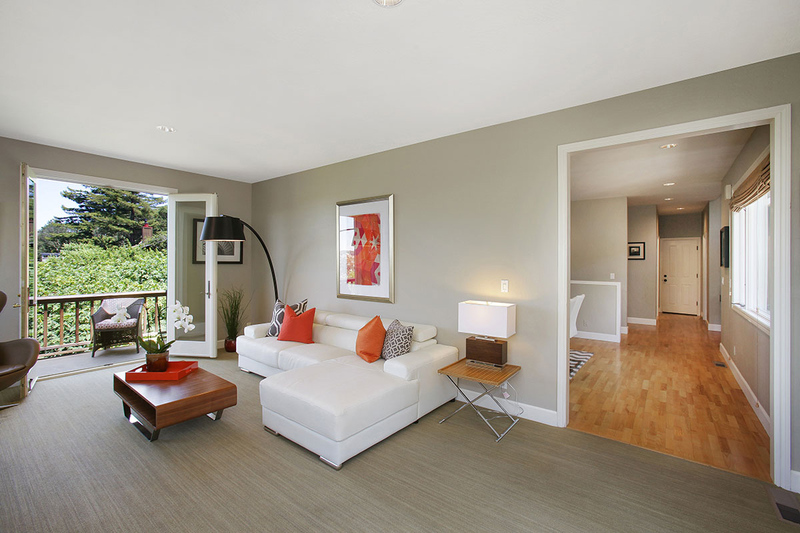 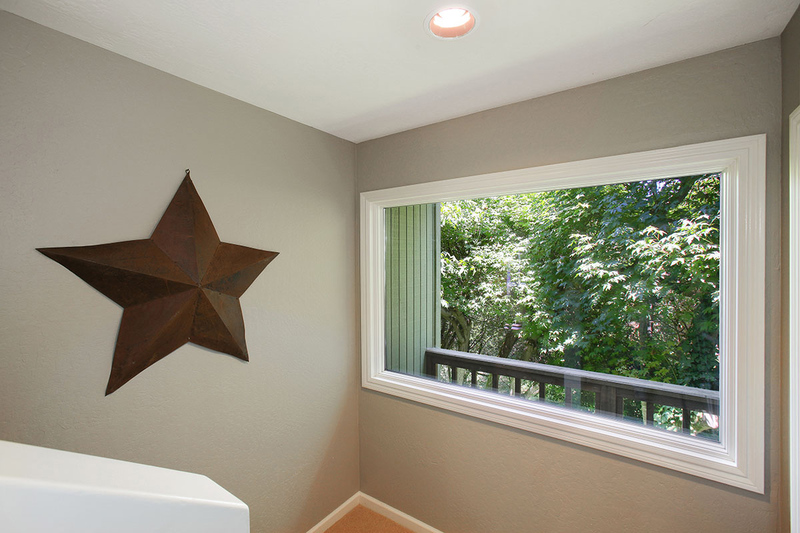 Ideally located in Mill Valley with convenient access to San Francisco. 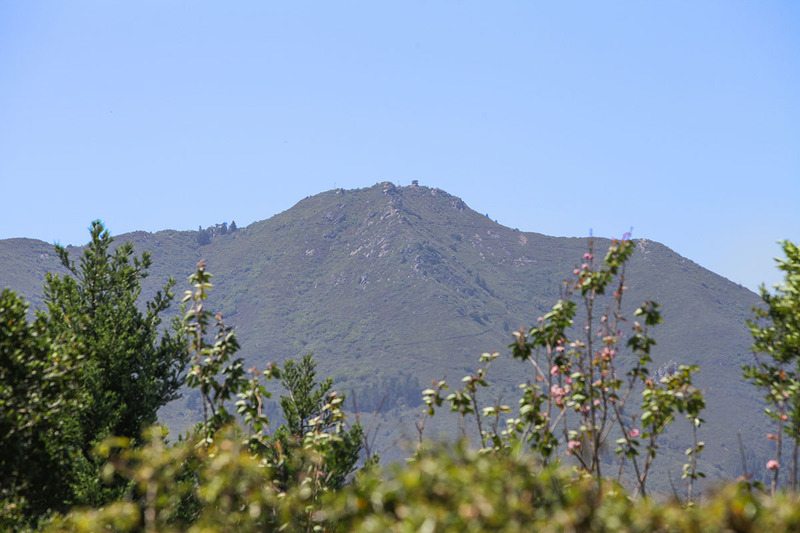 Close to Camino Alto shopping, award winning Mill Valley schools, amazing hiking trails, Whole Foods Grocery. 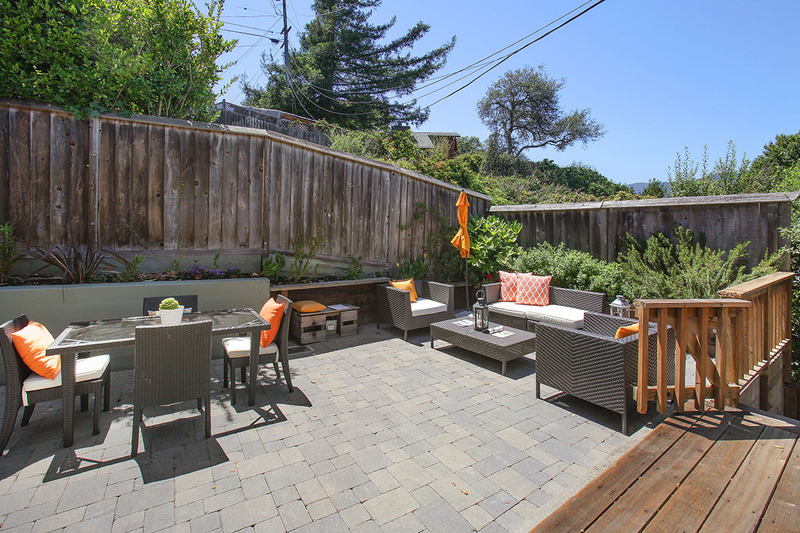 Enjoy the urban delights, downtown Mill Valley restaurants, bistros, boutiques, Sweetwater Music Hall, Throckmorton Theater, CineArts Movie Theater. 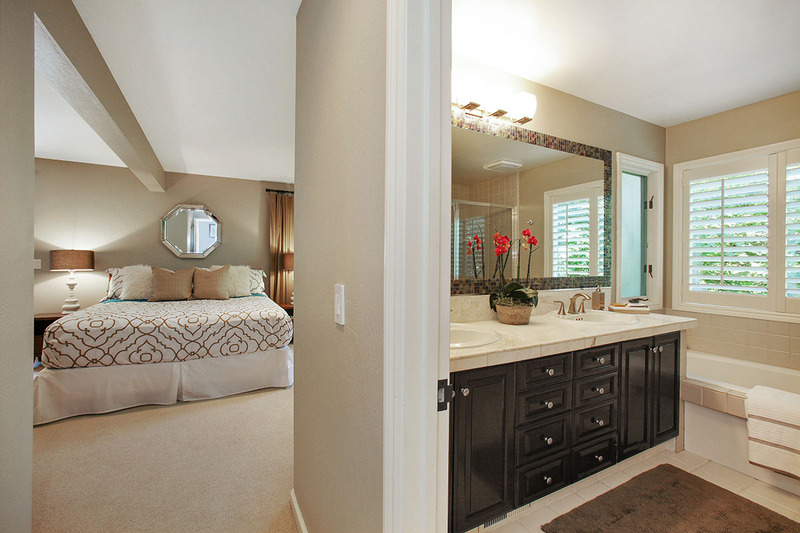 Master Suite– custom closet sliding doors, recessed lighting, outdoor al fresco patio, designer carpet. 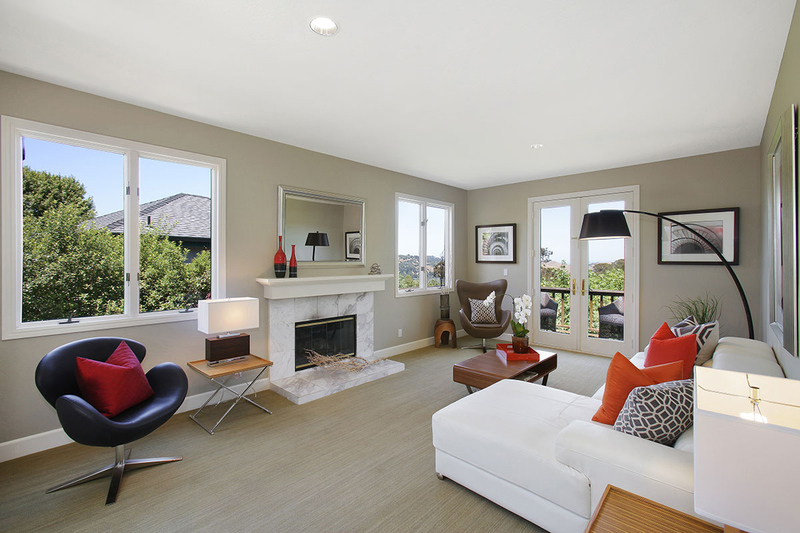 Formal Living Room– marble surround fireplace, French doors opens to fabulous outdoor patio for entertaining. 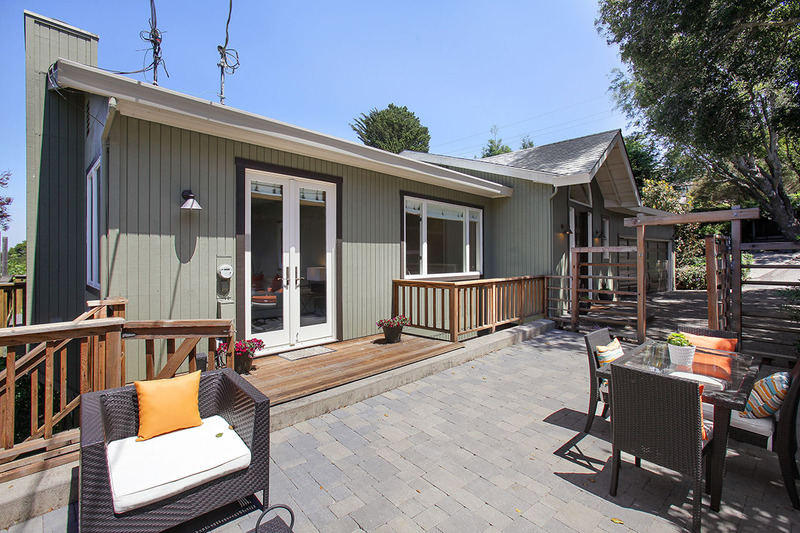 Patios/Decks – large outdoor space for entertaining in the front of the home and a fabulous wraparound view deck – have both French doors open in the living room to enjoy the entertainment feature of this lovely home. 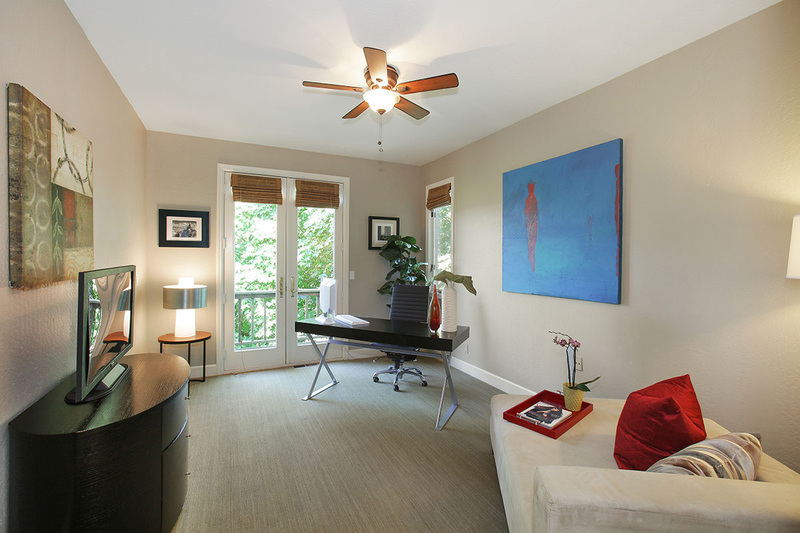 A sunny Al Fresco deck with an additional view balcony are features in the Master Bedroom. 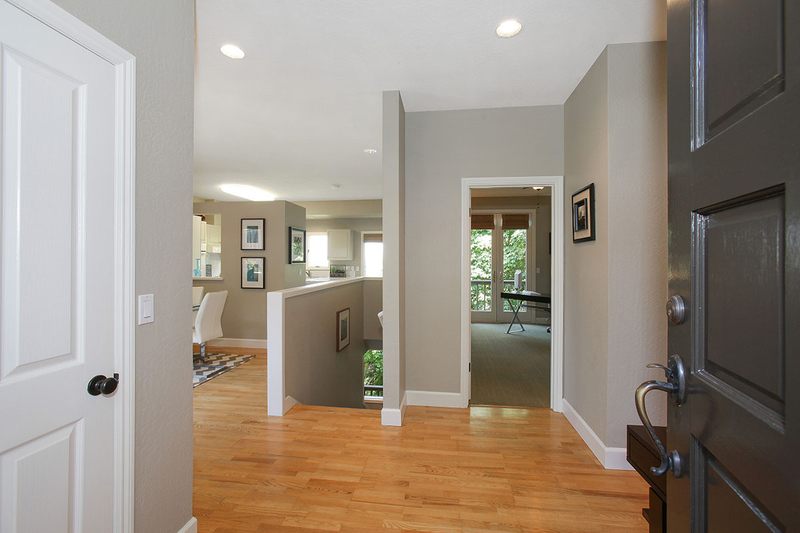 The Main Level Office/Den offers a view balcony along with another deck on the lower level. 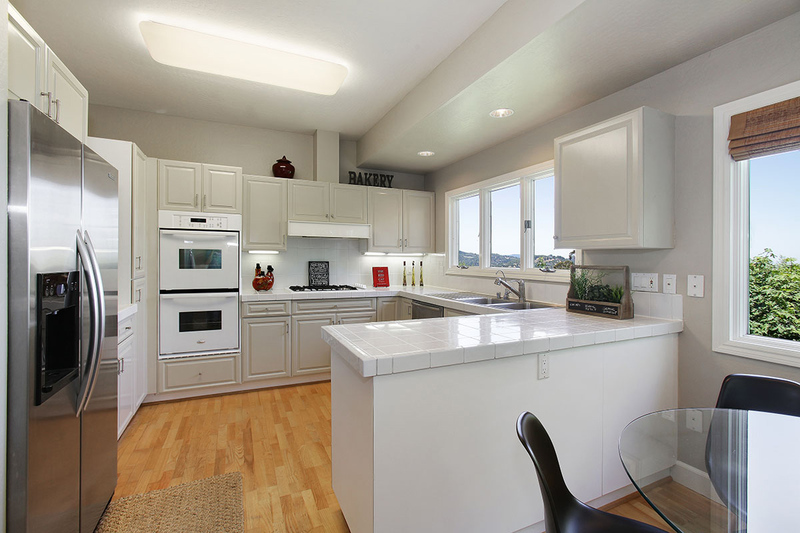 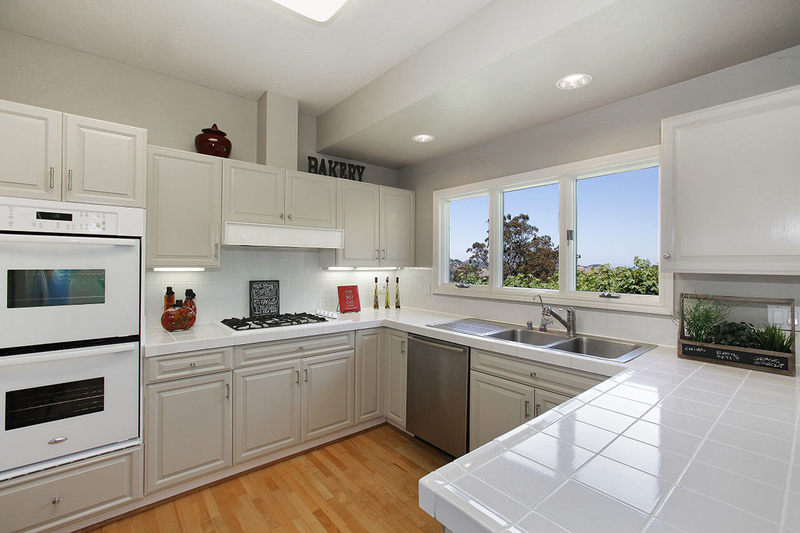 Eat-in kitchenkitchen – stainless steel refrigerator and dishwasher, gas cooktop, double ovens, and a new disposal. 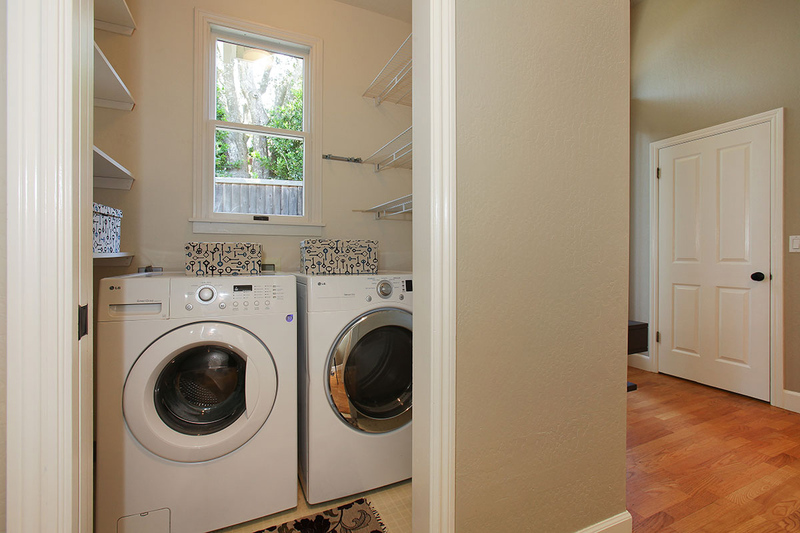 Laundry room with additional shelving. 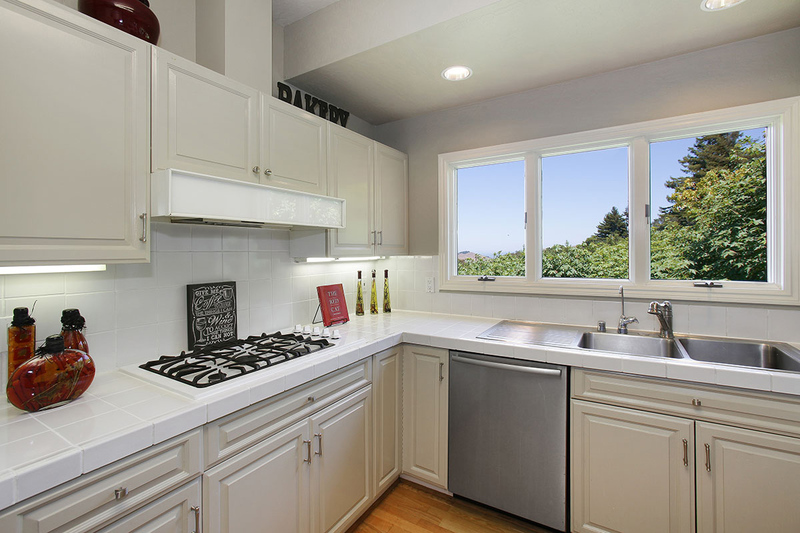 LG Washer/Dryer included. 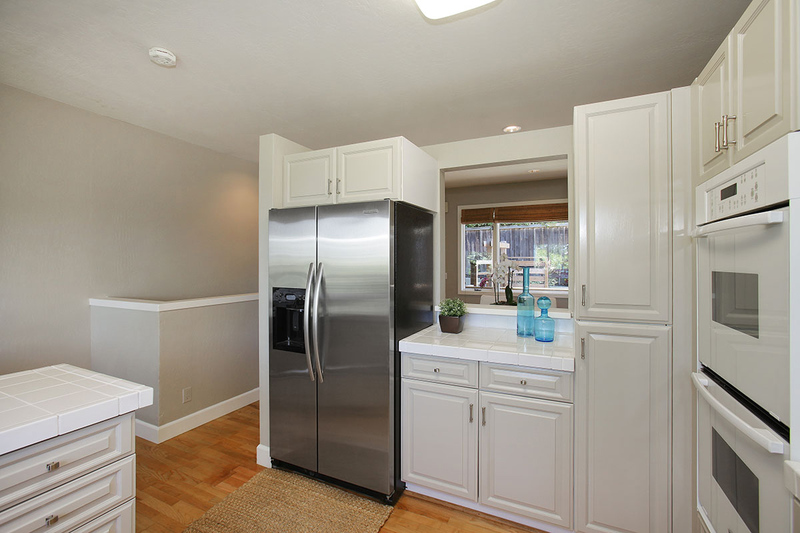 of the house on the driveway – abundant storage cabinetry and space. 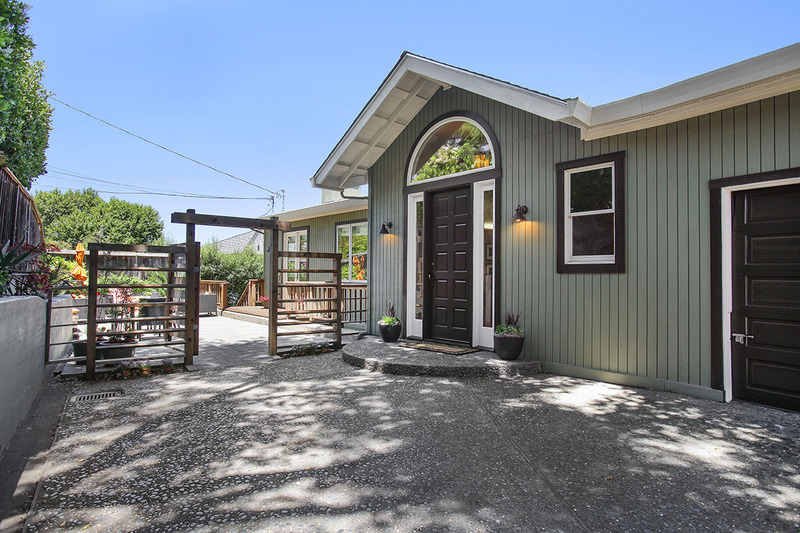 Additional Storage Area – spacious enclosed storage area located under the house that can be used for a wine cellar or for more storage space.